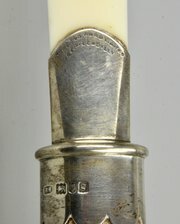 A Rowland Ward silver mounted deer slot and ivory page turner, hallmarked for London 1902. 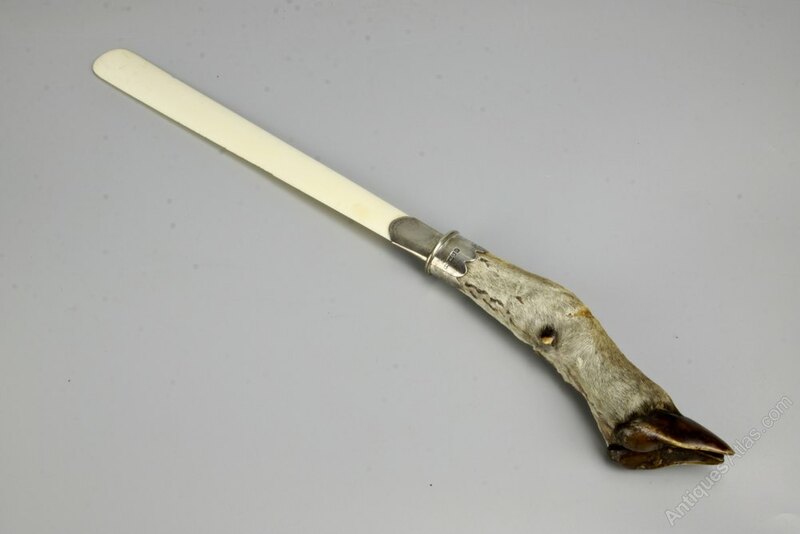 Offered in pretty good condition, commensurate with age, there are very minor nibbles to the ivory blade and some repaired shrinkage to the deer slot handle. It measures 42.5cm long.